Oh yes, it’s that time of the year again in the Philippines were a new iPhone is going to be launched. Of course, SMART will not be left behind to offer it. The SMART iPhone Xs and iPhone Xs Max are now open for pre-orders through their SMART GigaX plans. The new iPhones feature stunning 5.8-inch and 6.5-inch Super Retina displays that offer remarkable brightness and true blacks while showing 60 percent greater dynamic range in HDR photos. They also bring an improved dual camera system that offers breakthrough photo and video features, A12 Bionic chip with next-generation Neural Engine, faster Face ID, wider stereo sound, longer battery life, splash and water resistance, the most durable glass ever in a smartphone, a beautiful new gold finish that joins silver and space gray, and introduce Gigabit-class LTE for even faster download speeds. The SMART iPhone Xs is available via SMART GigaX Plans for P3,299 per month for 24 months. This is a combined amount of the monthly service fee of SMART GigaX Plan 1499 inclusive of 15GB (10GB for video streaming, plus 5GB for apps and websites), unlimited texts to all networks, and 60 minutes of calls to all networks every month, and a monthly amortization fee of P1,800. If you want the bigger, better SMART iPhone Xs Max, you may avail it through SMART GigaX Plans for P3,599 per month. P3,599 is inclusive of the monthly service fee of SMART GigaX Plan 1499 and a monthly amortization fee of P2,100. And if you get your shiny new iPhone from SMART, you’ll get to enjoy their FAST LTE Speeds which I am enjoying for the past several years. This is why I love this network and get my iPhones from them. 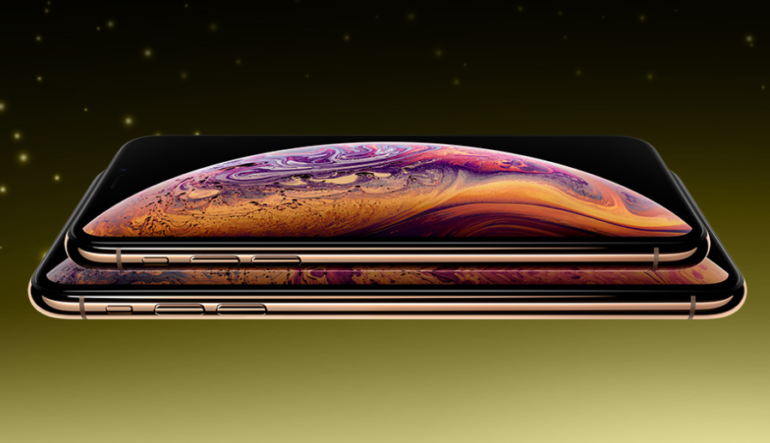 Pre-order a SMART iPhone XS and iPhone Xs Max now by visiting this link: https://smart.com.ph/Postpaid/iPhoneXs.